Online, Archbold forms the centrepiece of Westlaw UK Crime, a suite of primary law, commentary and much more that is designed specifically for criminal law practitioners. Packed with crime specific insight, reports, legislation, books, journals and more, it makes the most of Westlaw UK's market-leading functionality to deliver and easy to use and fully integrated criminal law online service. Online, Archbold's three supplements and weekly updates are incorporated and integrated into the text. All updates are highlighted so you can easily see what's been updated and what's changed. 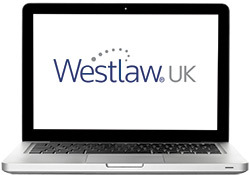 Links to Criminal Law Week and cases and legislation on Westlaw UK make sure that you have everything you need all in one place. Plus, with its powerful search tools mean that you spend less time searching for what you're looking for and more time on the important business of building your case. Every chapter is also available to download as a PDF. Sections can be downloaded for your court bundles and you can also print, download, save and email search results. Archbold is included in the core Westlaw UK Crime service. Or if you are already a Westlaw UK user you can add the Crime service to your existing subscription. Why not sign up for a free trial and see for yourself?